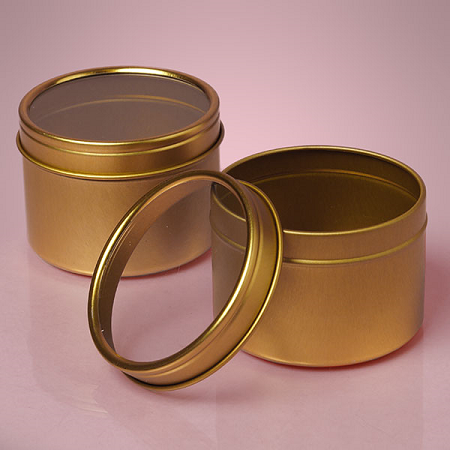 Small Gold Windowed Tins give you a wonderful chance to create a beautiful gift box. 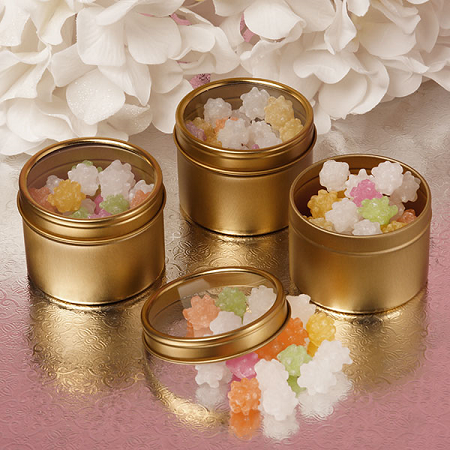 With gold color on the round tin container and a clear window on the top you can place all kinds of colorful items inside and instantly have a designer looking container. 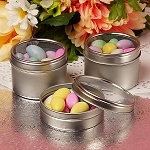 A notch above the rest, this elegant looking round tin is sure to catch the eyes of customers as well as guests at any event you may have. Use in your store as a prefilled candy item or as an empty box for patrons to make their own. 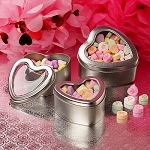 Either way you are sure to be glad you ordered these windowed tins.